Since its inception in 1956, the CWAJ Print Show has become a highly acclaimed and internationally recognized event. The 62nd annual juried show and sale will be held for the second time at Hillside Forum, a vibrant, light-filled gallery space in Daikanyama. The show features 221 prints, most produced after 2016, by renowned artists as well as more than 30 first-time CWAJ Print Show exhibitors. There will be three works by winners of the Young Printmaker Award for 2018 and 2015, and one work each from artists who have won this award since its inception in 2005. The dynamic exhibition encompasses a wide range of styles, themes and techniques such as woodblock, intaglio, lithography and silkscreen. Prices, which are determined by the artists, range from 8,000 to 400,000 yen. 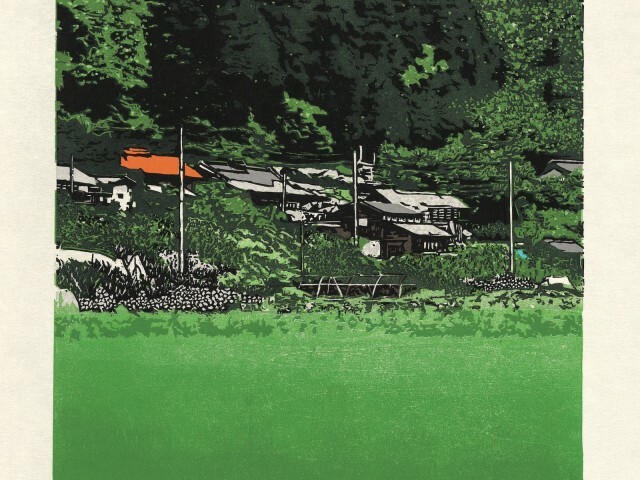 Emerging talent is well represented in this comprehensive show along with masterpieces by highly regarded, experienced printmakers, including Fumkyaki Fukita, Reika Iwami, Keisei Kobayashi, Akira Kurosaki, Rei Morimura, Toko Shinoda and Tadanori Yokoo. The College Women’s Association of Japan (CWAJ) is a not-for-profit, volunteer organization of approximately 450 members from 20 countries. All proceeds from the Print Show and sale go to CWAJ Scholarships and Fukushima Relief Projects. To date, it has awarded more than 800 scholarships to women who want to further their studies both in Japan and overseas, as well as to female and male students who are visually impaired or want to study nursing in the Fukushima region. Admission to the CWAJ Print Show is free. For more info, click here. This year’s exhibition will focus on catalog cover artists from the long history of the CWAJ Print Show. The Associate Show will take place from October 17 to November 4 at the Frederick Harris Gallery, Tokyo American Club, 2-1-2 Azabudai, Minato-ku, Tokyo, and will also be displayed in the connection to the 62nd CWAJ Print Show at the Hillside Forum in Daikanyama (details as above).